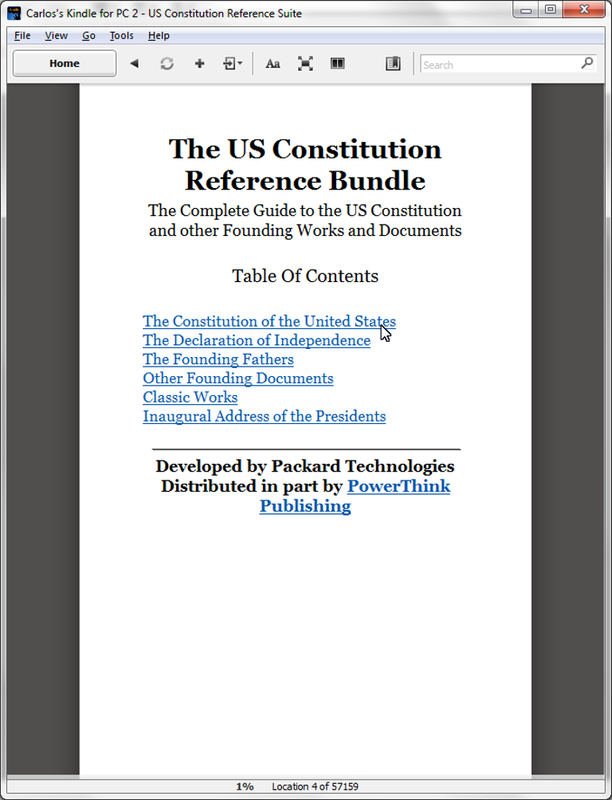 Become a true US Constitution and Founding Fathers buff with this incredible collection. 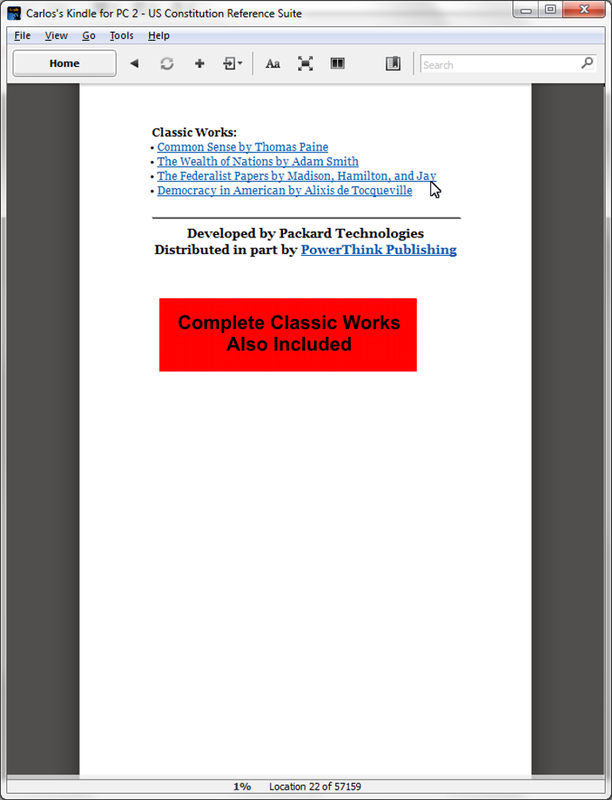 Load it to your mobile device and take it with you wherever you go. 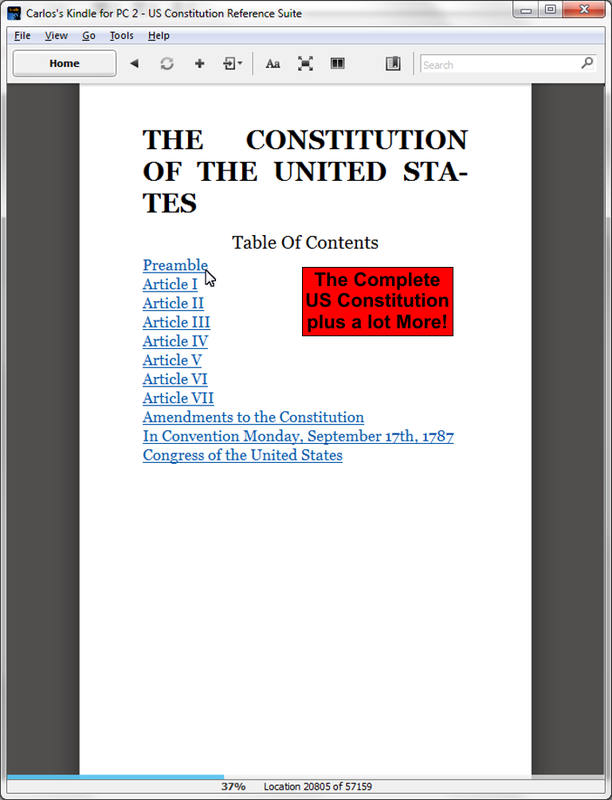 Extremely easy to navigate, this electronic reference is a great tool for quick access to the US Constitution and other Founding Works and Documents. 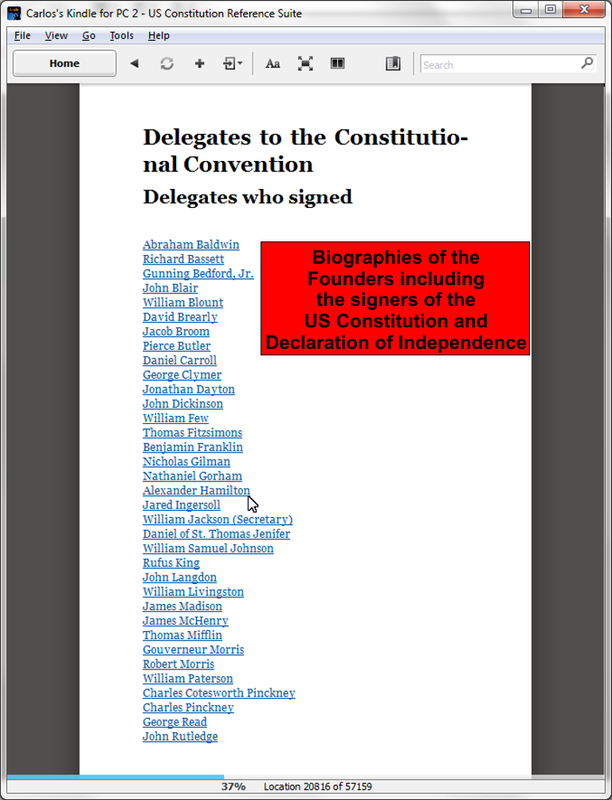 It also includes a brief history of the founding documents along with a biographical sketch of the founders including all the signers of the Declaration of Independence and the delegates to the Constitutional Convention, and more. 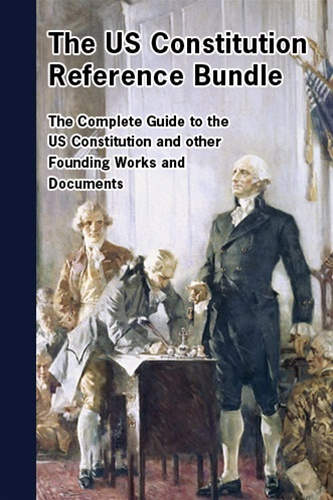 It also includes the complete text of some of the most popular books written on government and American history including Common Sense by Thomas Paine and more.